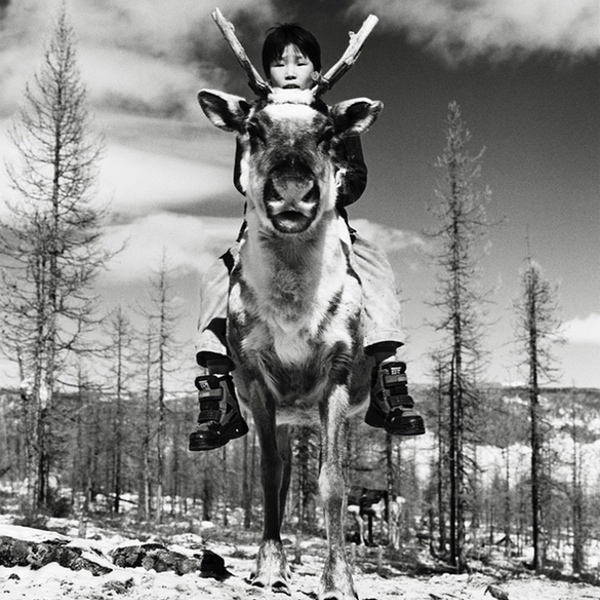 A young Nenets woman gathers the reindeer before migration. 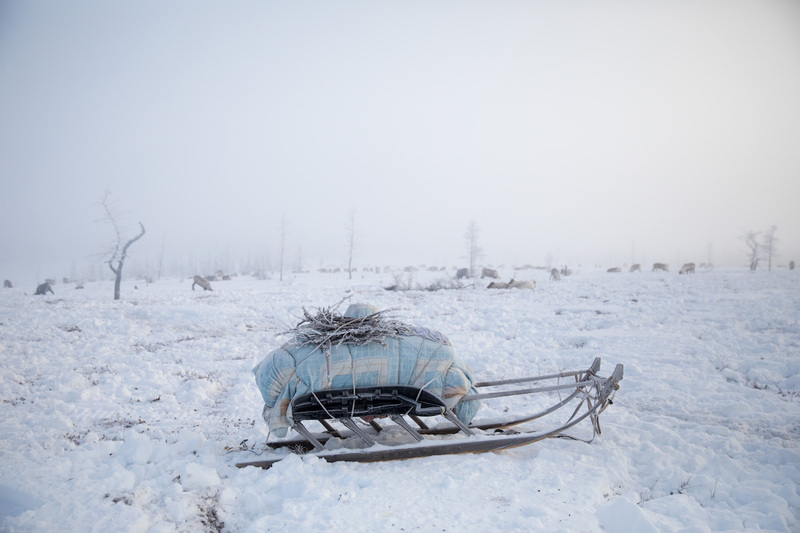 Yamal Peninsula, Siberia, Russia. 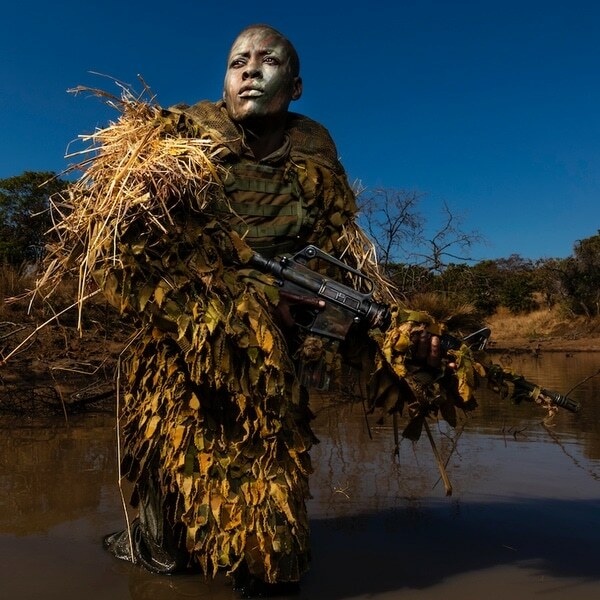 Photographer Oded Wagenstein is a storyteller at heart. 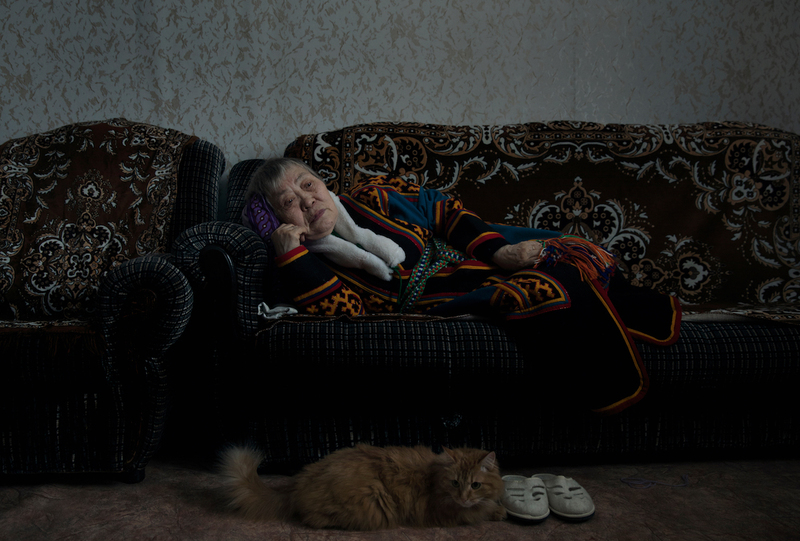 Using his camera, Wagenstein travels the world, exploring themes of aging, loss, and memory. 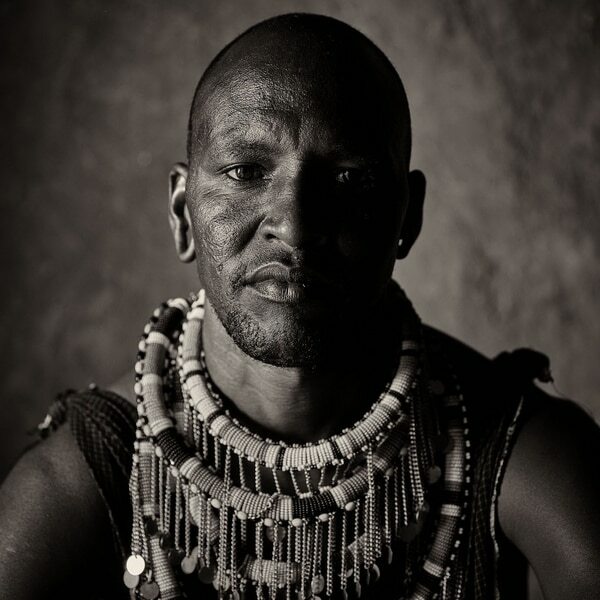 By mixing his background of anthropology, sociology, and film, he shines a vital spotlight on communities that are often forgotten, and dedicates his artistry to giving a visual voice to those who may go unheard. 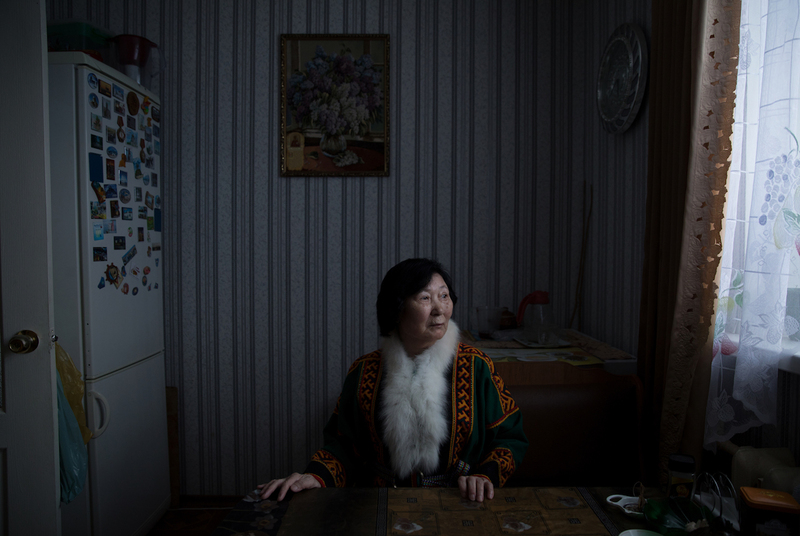 His recent series Forgotten Like Last Year’s Snow, focuses on the women of northern Siberia’s nomadic communities. 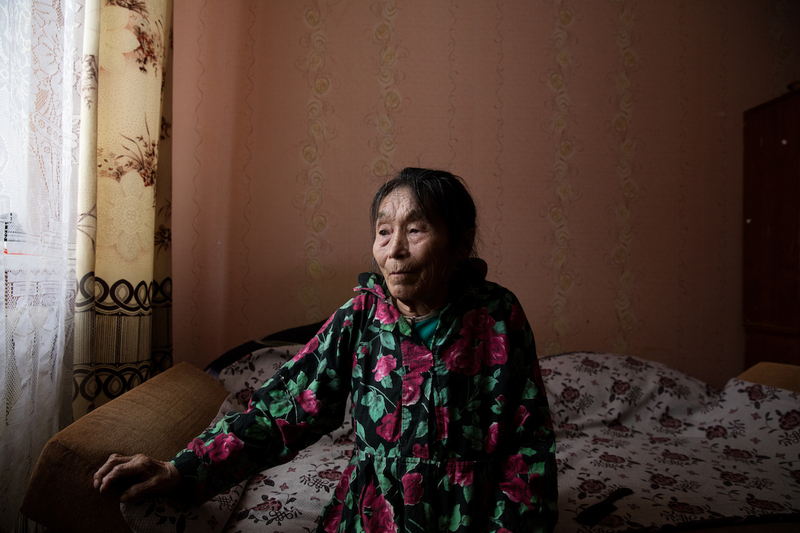 Wagenstein spent several weeks in the remote village of Yar-Sale, getting to know the Nenets community and exploring the nuanced layers of aging in this environment. 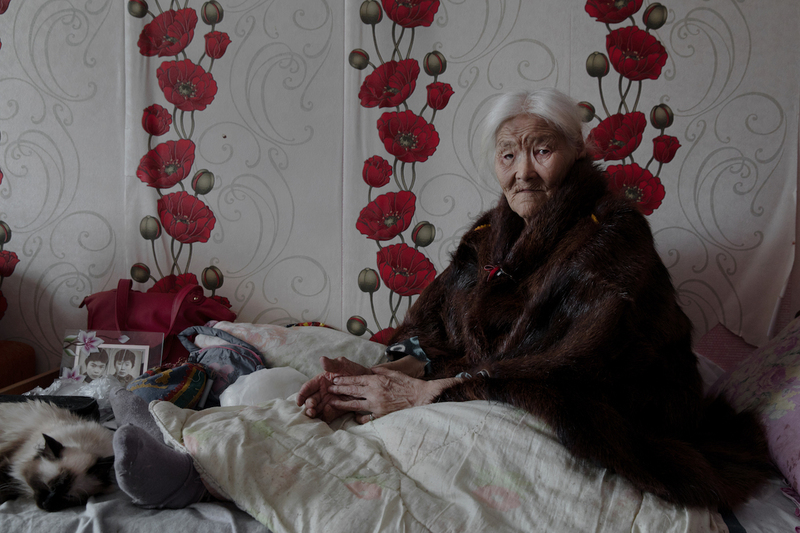 It was there that he discovered the social shift for women as they age within the Nenets community. 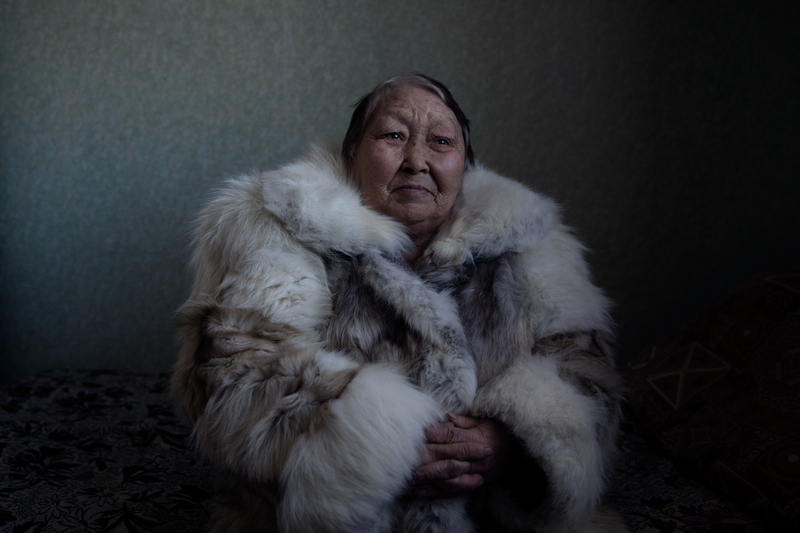 These nomads, who are used to living outdoors in the tundra, leave their female elders inside as they age, taking them away from the life they’d always known. 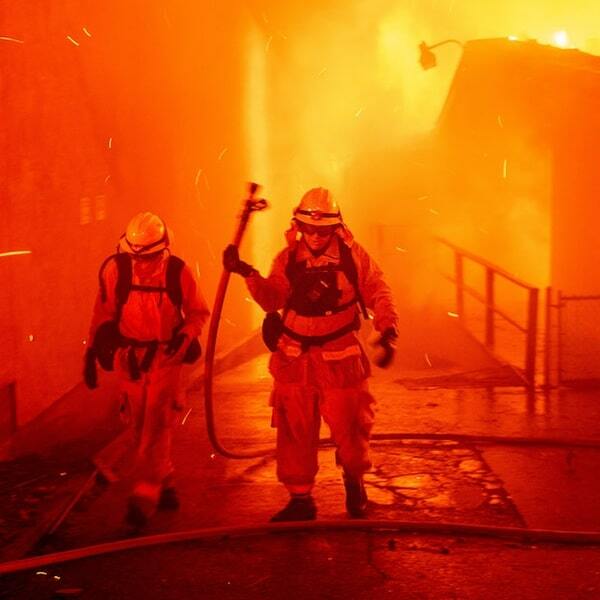 Through his photographs, Wagenstein documents this shift. 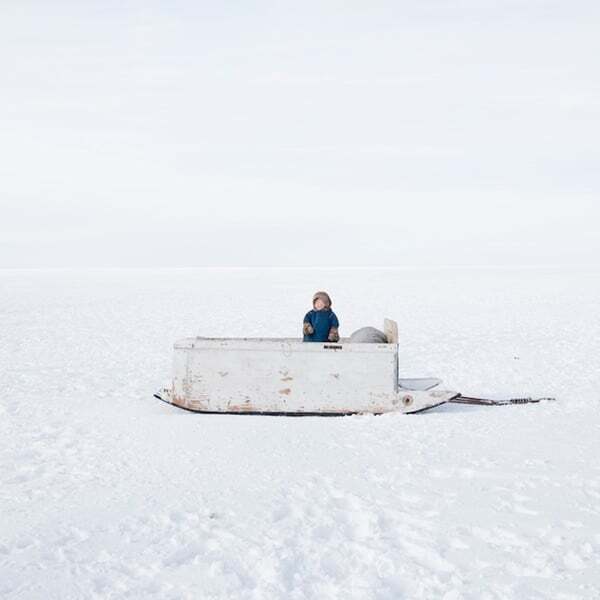 His outdoor photographs of the area surrounding Yar-Sale, bright and white, contrast deeply with the moody interiors the women now live within. In this way, he visually represents an internal state and communal shift in how these women are viewed as they age. 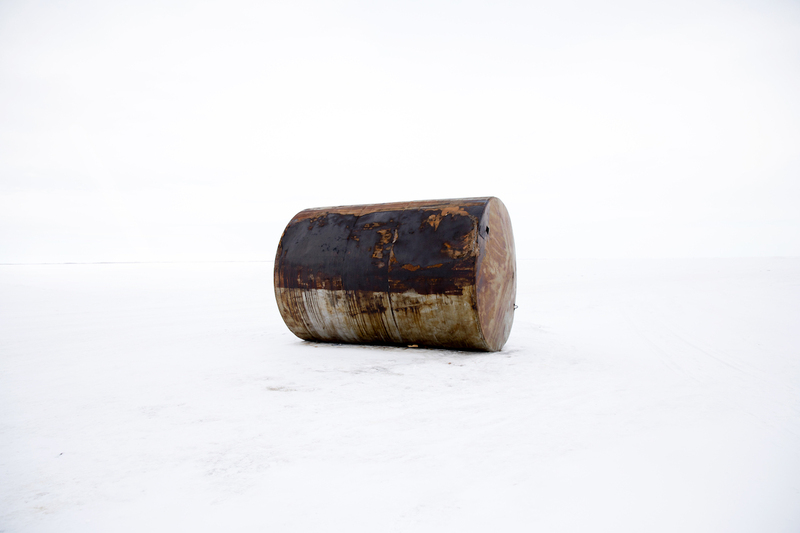 Recently, we spoke with Wagenstein about his photography and his trip to Siberia. Read on for our exclusive interview. 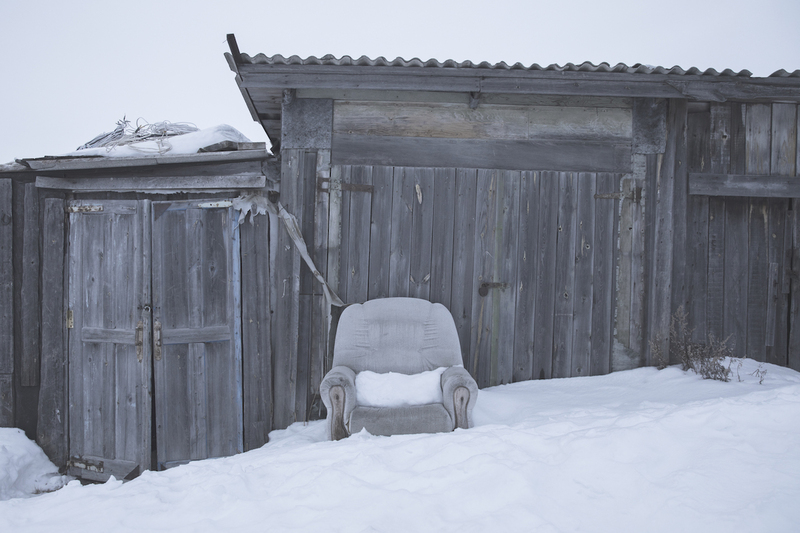 The “Chum” – home of the Nenets. 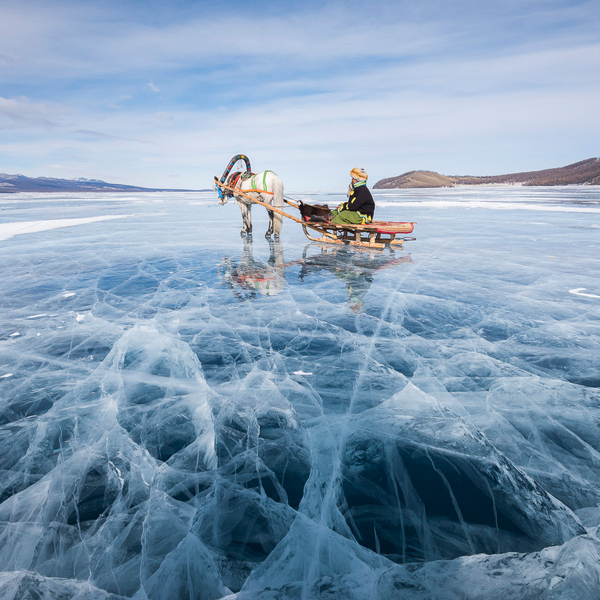 Yamal Peninsula, Siberia, Russia. 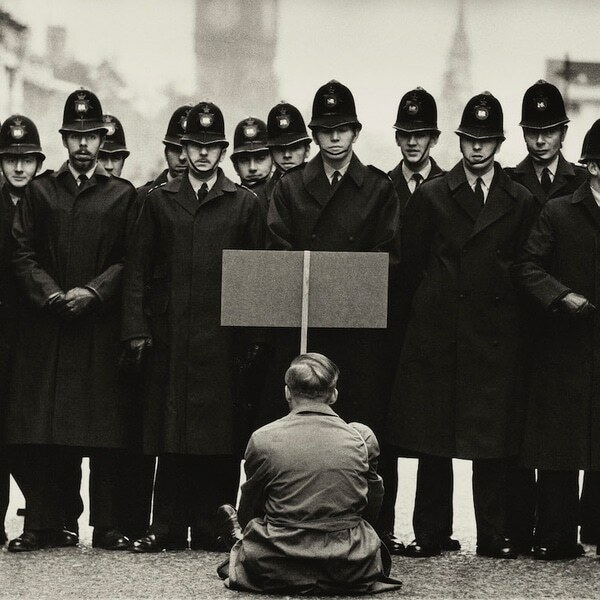 Can you share your relationship with photography and how you began your career? I was born in the Middle East to a family of hard-working migrants from the Balkans, and although my parents were supportive of me along the way, I had never studied photography in a formal manner because I was terrified by the thought of making a living from this profession. I was afraid of the instability and uncertainty—of being an “artist.” For years, I thought that maybe it would be better to keep it as a hobby. But it was from a very young age that I understood the power of art and photography, the power to explore myself and the world around me, my dreams and fears and to be able to share those with others. Over time, I managed to find the balanced path. A path that combines stability with creativity between long journeys as a traveling photographer to roots and home. I’ve learned the importance of staying true to yourself. If you stay true to yourself, things tend to work out eventually. But if you are not loyal to yourself, life is as comfortable as walking with a marble in your shoe. 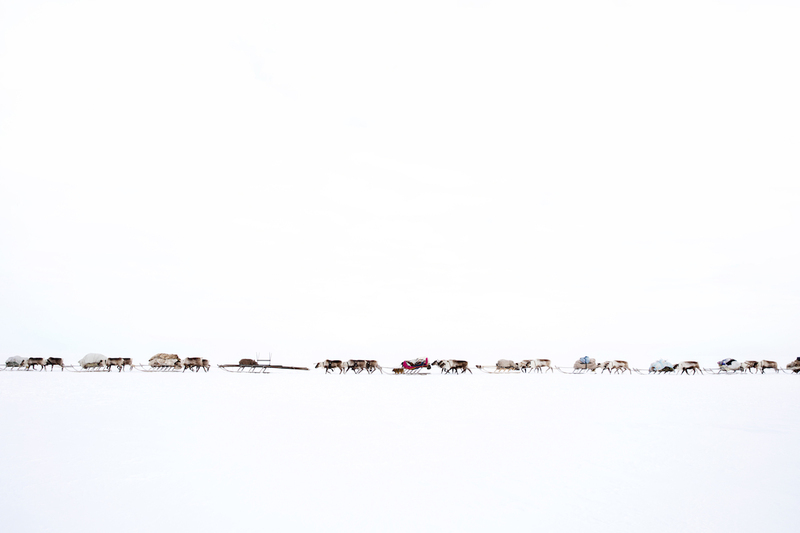 A convoy of reindeer, belonging to the Serotetto (white reindeer) family, during their migration over the frozen river of Ob. 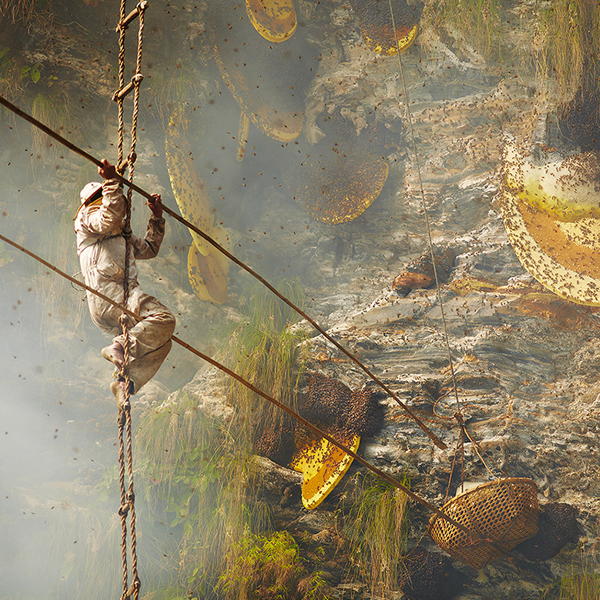 How do you use photography to tell a story? 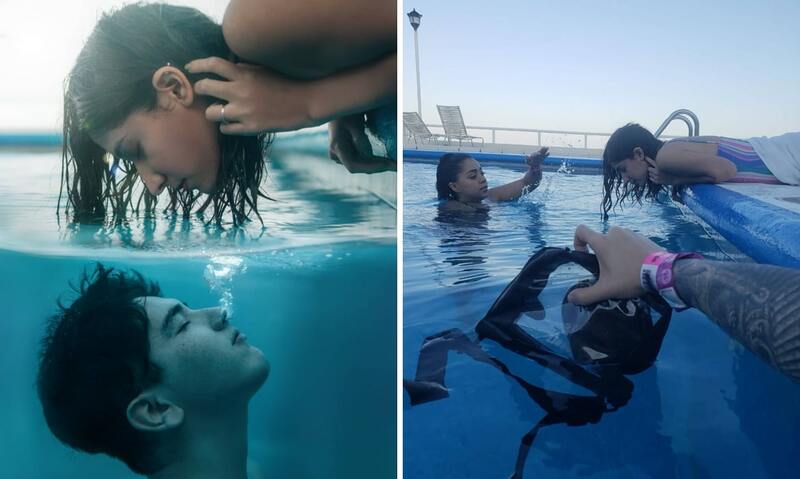 As photographers working in a motionless art, we can only give the viewer a fraction of the story and hope that she or he can complete the story on their own. I craft this fraction with the help of space, color, light, shape, and, of course, content. For this project, I was on the search for symbolic visuals that could represent concepts like home, community, migration, and loneliness. In portrait photography, the only way I know to tell a story is to first hear it from the person you are photographing. I once read a quote by Ted Grant that said, “If you photograph people in black and white, you photograph their souls; but if you photograph them in color, you photograph their clothes.” I think the same in regards to story and portrait photography. If you are photographing someone without hearing his or her story first, you are photographing their clothes and the ideas and concepts you brought with you. And so, for this project, I sat with the women for long hours and over many cups of tea, as they shared their stories, lullabies, and longings with me and I tried to use the tools of composition to give a visual, symbolic representation of those stories. 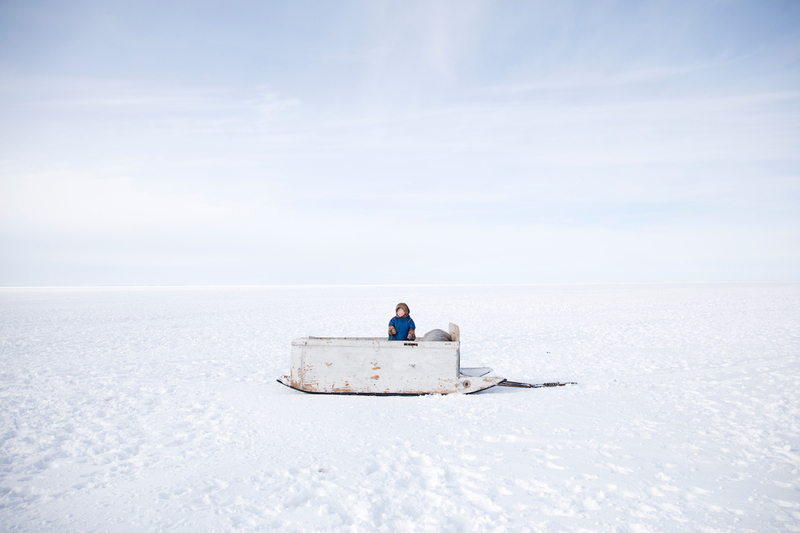 A young Nenets boy plays on an old sled. 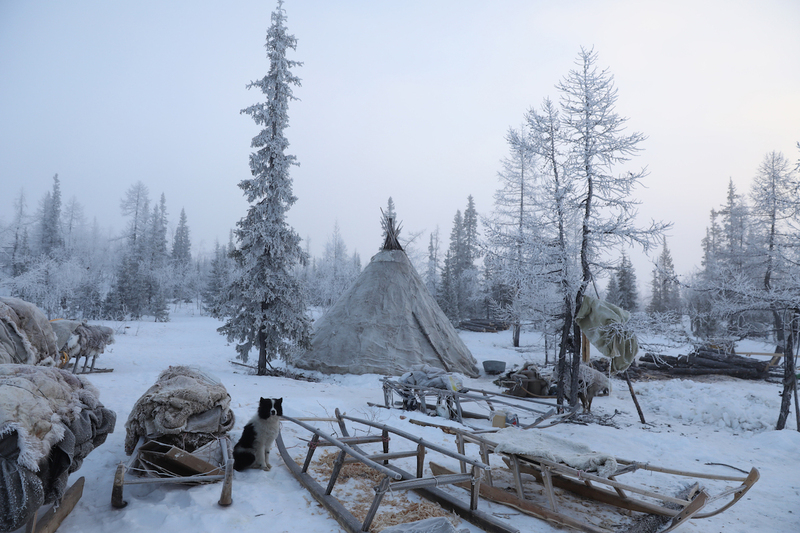 Yamal Peninsula, Siberia, Russia. Liliya Yamkina (Born 1944). As a teenager, she was the only one in her clan who knew how to read. She said she still remembers how important she felt when she read everyone their letters and formal documents. 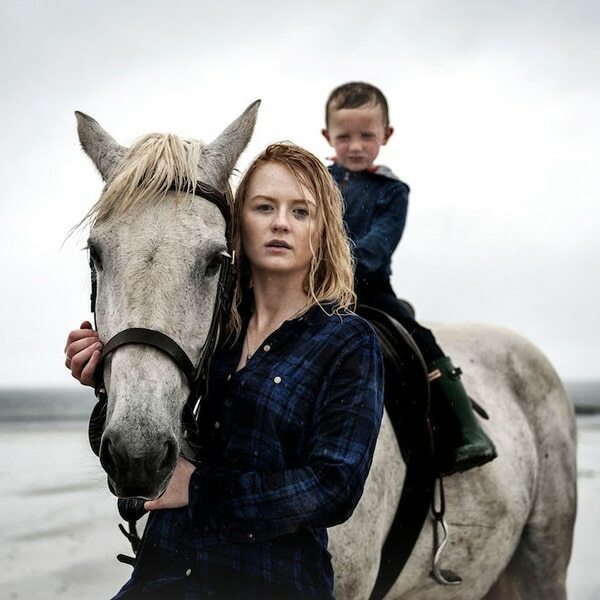 However, the importance of her reading skills to the clan was also the reason that her father prevents her from going to college to become a teacher. 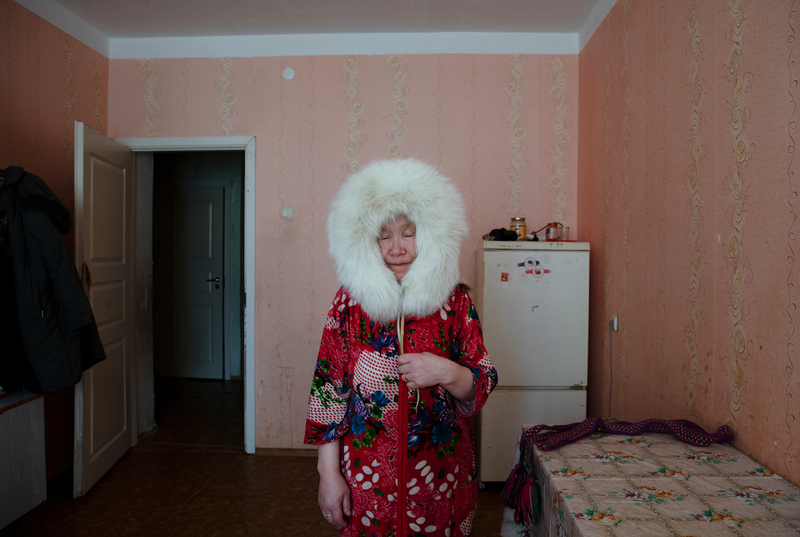 Now in her apartment, she writes love songs about the Tundra and her dream is to publish them in a magazine. Many of your projects touch on topics of loss and aging. Why are these themes important to you? How does it feel to get older? What does it mean to stay behind? How does one feel when your body betrays you? And for the last five years, I have met elderly people in different communities around the world and listened to their stories and fears. I cannot say that I got all the answers to my questions, but it allowed me to explore them. The second reason for me to deal with the concept of aging is that I believe that our society is often too focused on the young generation. In doing so, we actually miss the experience, the wisdom, and the ability to learn from our elders. A packed sled, ready for migration. 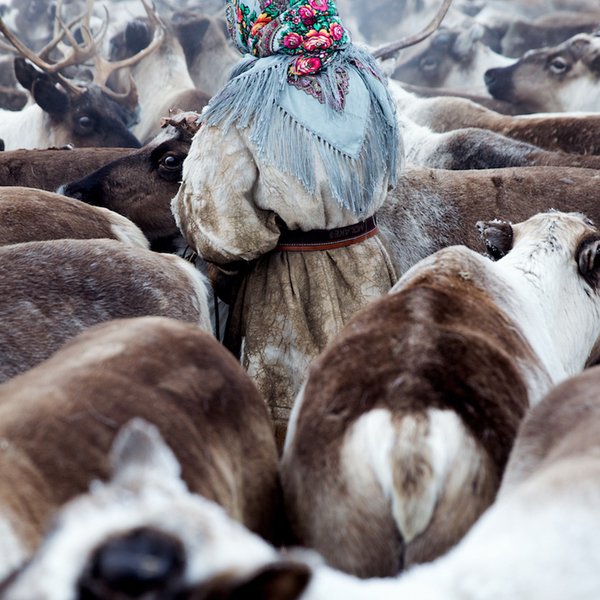 What had you heard about the women in Yar-Sale that made you drop everything to go to Siberia and photograph them? 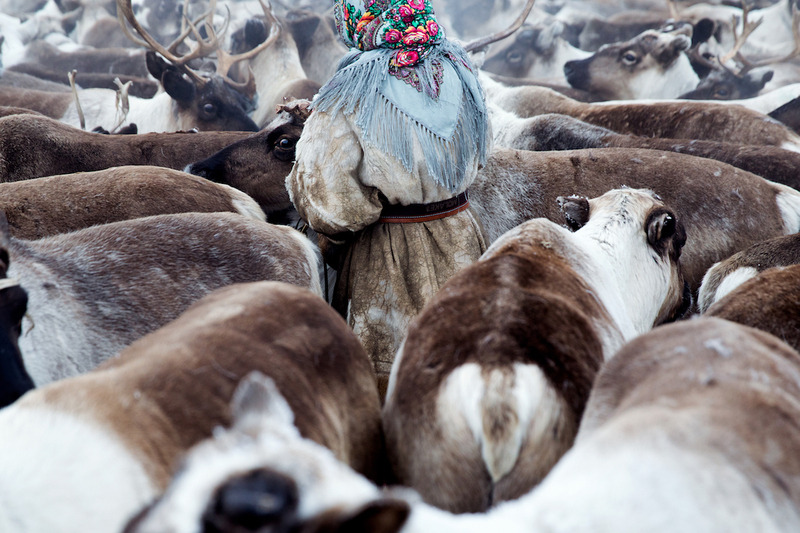 My initial thought was to explore the general idea of aging in the nomadic community. 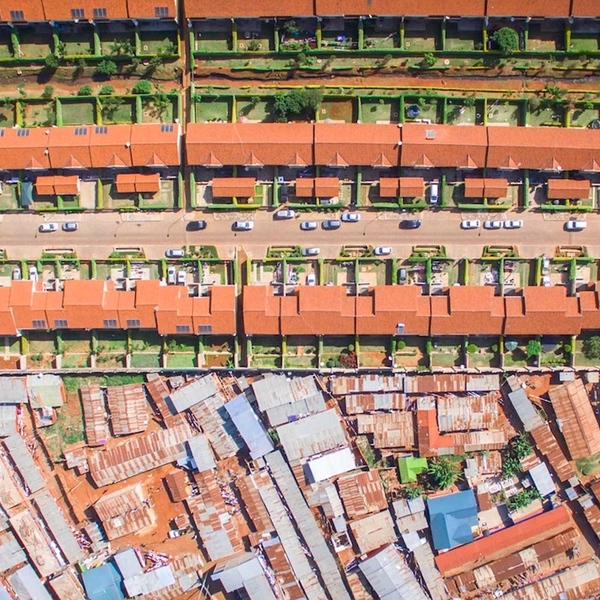 Where the concepts of “home,” “community,” and “social roles” are different from what I am used to. Only in the field, after hearing the stories and meeting with the people, I decided to focus the story on the women. 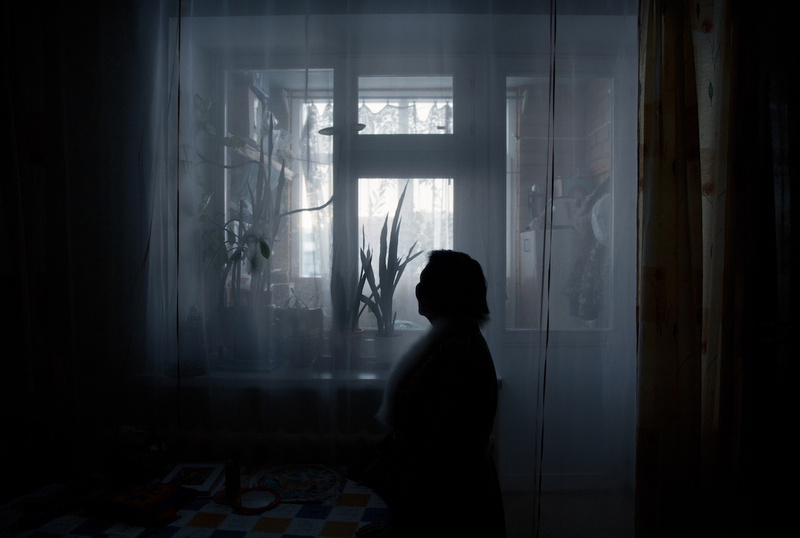 I found out that while men are encouraged to remain within the migrating community and maintain their social roles, even in old age, the women, are often ostracized and left to face the struggles of aging alone. 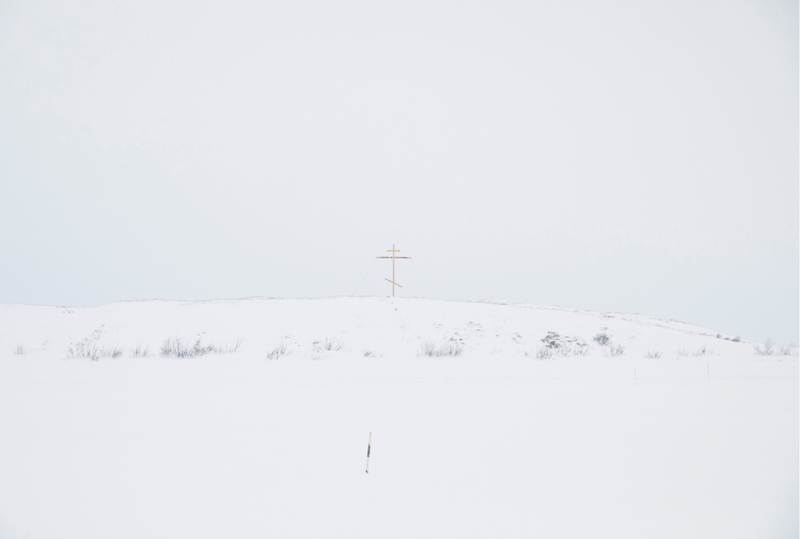 An improvised cross, which marks the border between the village and the tundra. For tundra people, this cross marks the border between their world and the world of the “others” (non-tundra people) as they refer to them. How long were you there and what was the most challenging aspect of the journey? I was there for several weeks, and the biggest challenge was coping with the environmental conditions. I was born and raised in the Middle East and never experienced such cold and, of course, snow. It’s a place where the sky and earth blend, and you often feel disoriented and lost. I am sure these feelings found their way into my work. Autipana Audi (born 1941). Yar-Sale village. 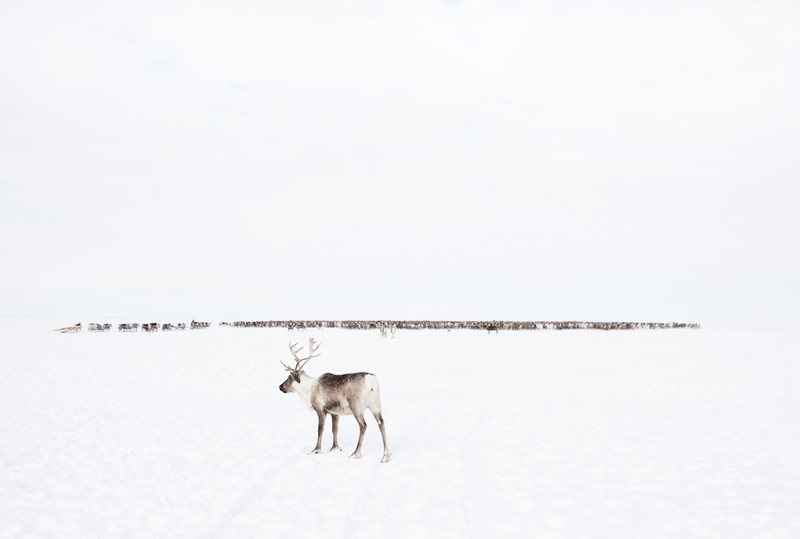 A lone deer, separated from his herd. What was the most surprising thing you learned about the community while there? I cannot say that it surprised me, but it again reminded me of the destructive meaning of losing your social role in the community. 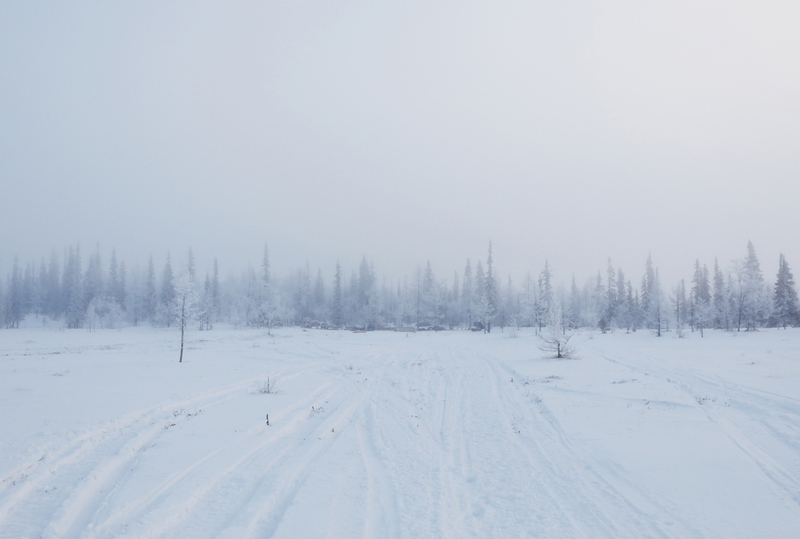 The destructive meaning of feeling purposeless. I find that to be a universal issue and I encountered that while working with elders in other places, from Cuba to Thailand, and even with my own grandmother, expressing that just a few days ago. What do you hope people take away from the series? I think that we, as a society, should better integrate our elders in our own family and community, the media, and the workplace. This will not only help them to feel better because they are still needed, but we can all enjoy their experience and wisdom. 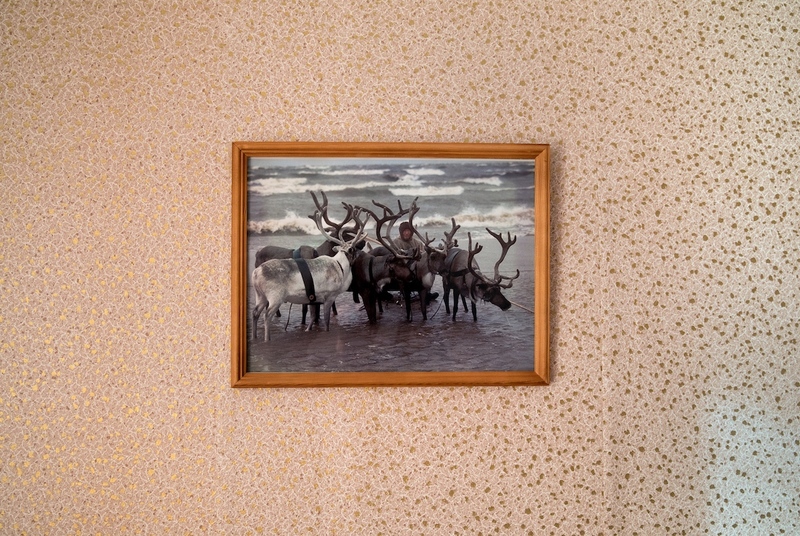 A framed picture of a Nenets herder with reindeer. In the future, I plan to continue this journey while exploring not only the challenges of aging but also the opportunities. 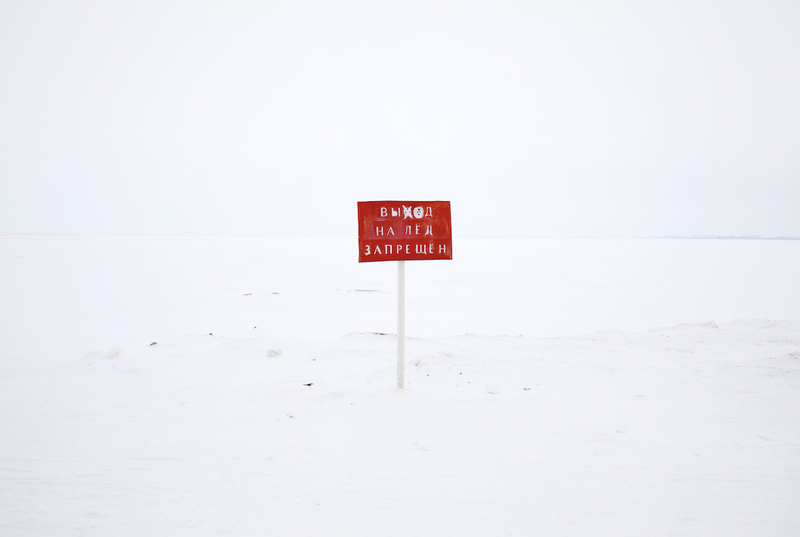 An official sign warning the local villagers that “going out to the ice is prohibited,” meaning that from this point on, tundra begins. Yar-Sale village. 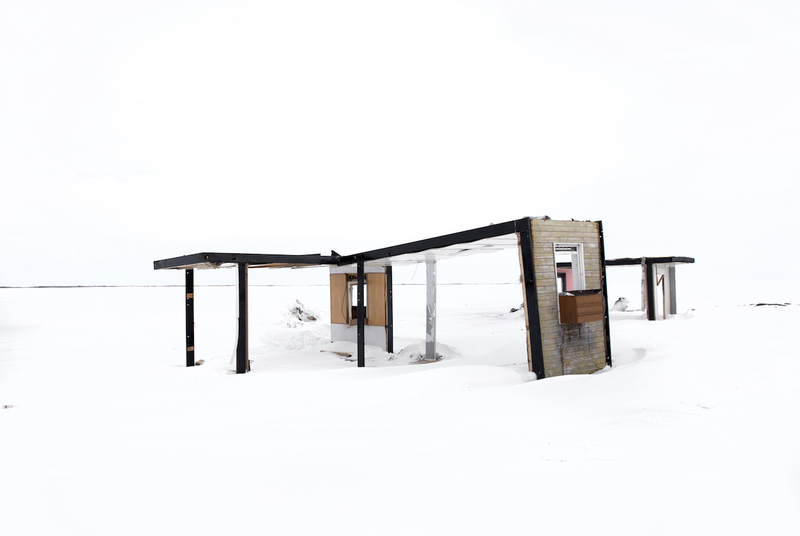 Abandoned houses, struck by snow, wind and time. My Modern Met granted permission to use photos by Oded Wagenstein.